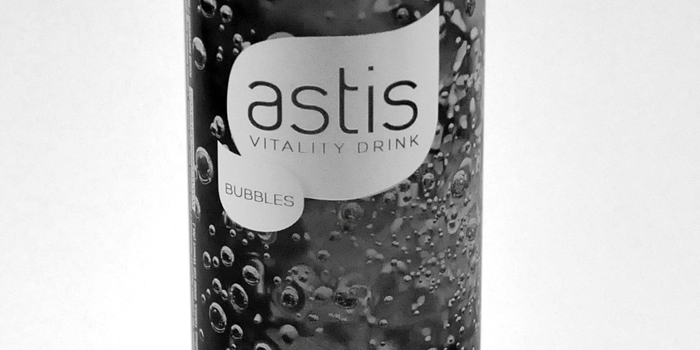 “Astis is a new ‘vitality drink’ that will be launched in the Netherlands in September. The basis is reverse-osmosis purified water. 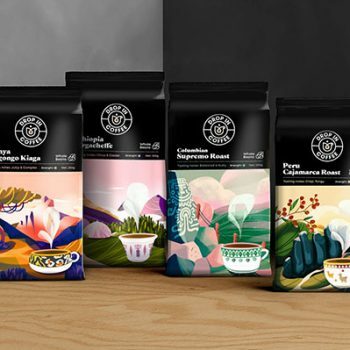 It’s a sugar-free drink with a mix of herbal- and fruit extracts that enhances vitality and well-being. 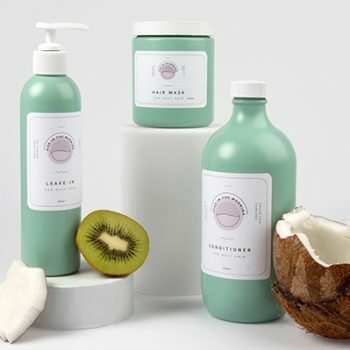 Astis Bubbles is the first product in a range of vitality enhancing products. 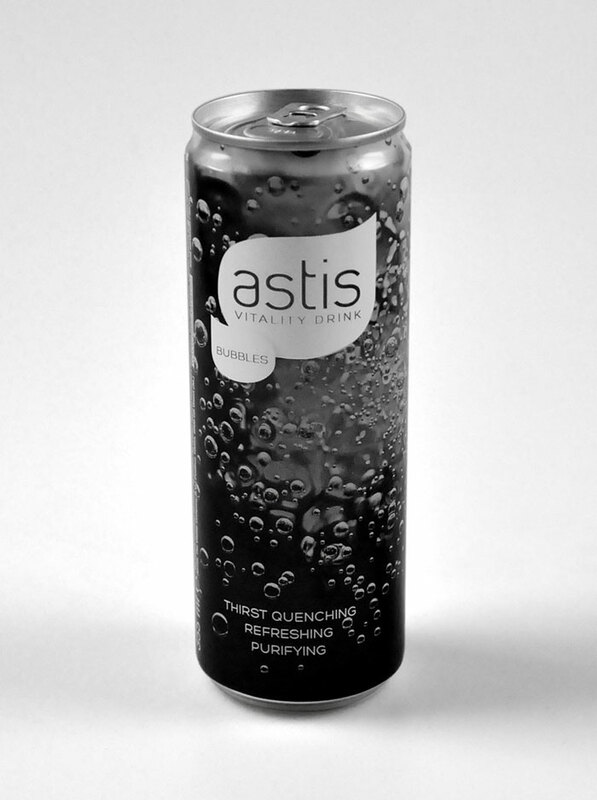 The design of the can is based on the visual identity of Astis: striking close-up photography and video of ‘fluids in motion’. By using an innovative high definition printing technique from manufacturer Rexam a lot of detail and depth from the original photography is preserved. 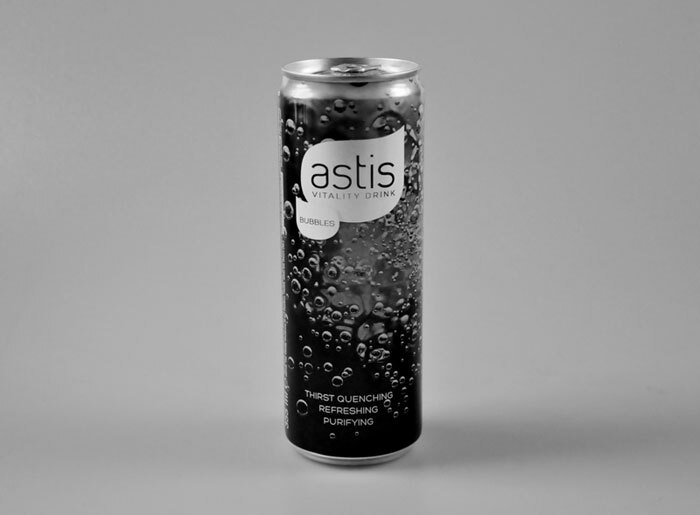 The uncomprimising, minimalistic design conforms with the taste of Astis Bubbles: an uncompromising support for people who take responsibilty for their own health, as opposed to the quick fix that so-called ‘energy drinks’ offer.